SuperPhillip Central's "Localizations, Please!" series of articles has gotten lucky with how most of the games I've wished for have received localizations or localization announcements. However, there are the occasional moments where a game stays in its native homeland, never to be translated and played by the rest of the world. This article delves into those specific games with the first segment of "Localizations: Denied!" The first game to not be released in the West is one that all of the odds against it. It was released near the end of the Wii's life, the system's successor that the game also was on sold like sand to a man in the desert, and it was a massively multiplayer online RPG. That hat trick of negative aspects meant that the tenth mainline installment of a series that already didn't have much selling power compared to, say, Final Fantasy, which has seen two MMORPG entries released on this side of the Pacific, would not find it crossing over the pond. Silence is golden, but not for localization news. 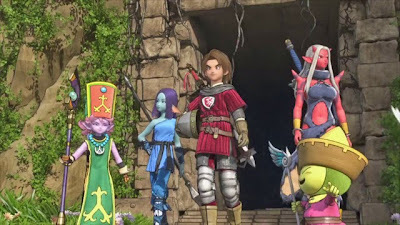 It makes sense that Dragon Quest fans are wanting the eleventh installment of the series to arrive on a Sony platform because then the odds of it being localized are much stronger. After all, Dragon Quest Heroes recently released in the land of the rising sun, and it's already set for localization, though only on the PS4 instead of the PS3 as well. Dragon Quest VII's Nintendo 3DS form is a full fledged 3D remake. As prices for the PS1 original fetch a high price and so many missed out on it, it would have been nice to have received word of localization. Xenoblade creator Monolith Soft's Disaster: Day of Crisis is the odd gem in this batch of six unlocalized games, as it was the only one that actually reached the West. It released in PAL territories, but unfortunately, it never hit North America. 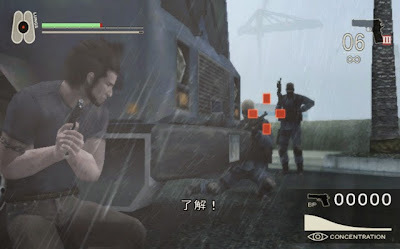 Filled with action, rail-shooting sections utilizing the Wii Remotes, jumping puzzles, mini-games, and quick time events, Disaster: Day of Crisis had players trying to survive a city caught in a nasty mix of natural disasters and terrorism. The biggest disaster, ironically enough, was sales, as the game did horribly in retail, leading to Nintendo of America deciding not to bring it across either the Pacific or the Atlantic. 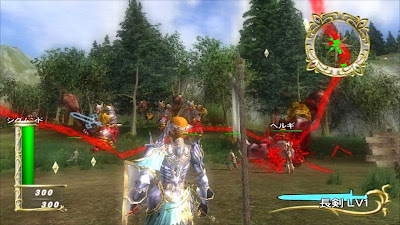 Returning to the Japan-only lineup of games on this list, Zangeki no Reginleiv (or as it was originally called "Dynamic Slash") featured copious amounts of violence through the form of slicing and chopping off enemy extremities with the Wii MotionPlus peripheral, offering precise sword slashing action with one of over 300 weapons. Up to four players could hop onto the Nintendo Wi-Fi Connection to participate in group beast slaying. No doubt both Nintendo of Europe and Nintendo of America felt that the demographics for Zangeki no Reginleiv didn't fit in with the ones they had in their respective regions. It's a shame, as the game looked like a mighty amount of simplistic and savage fun. Another title that most likely didn't get localized due to demographics was the Nintendo DS' Soma Bringer, also developed by Monolith Soft. 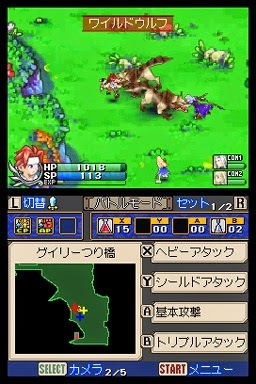 The game was deemed a cooperation RPG by the developers, favored by players for its combat system, visuals, and music. 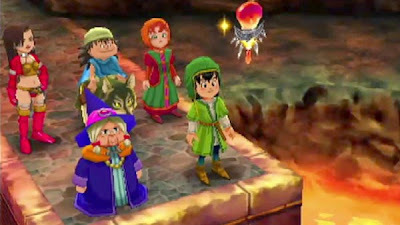 In a time where Nintendo was localizing the Dragon Quest series, and third parties were releasing a wide variety of RPGs such as Final Fantasy, Radiant Historia, Etrian Odyssey, Rune Factory, and more, it remains disappointing that Nintendo itself didn't bring over Soma Bringer or allow another studio to do the duties for them like XSeed Games did with the Wii's Pandora's Tower. 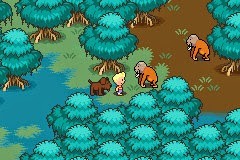 A commercial and critical success in Japan, Mother 3, the sequel to EarthBound, released at the end of the Game Boy Advance's life. This was at a time when the GBA was slowly entering the old folks' home and the Nintendo DS was taking its spot on center stage. Due to this, Mother 3 did not get localized in the West to an official capacity. Instead, a fan translation is available for download via emulator, but it would have been a lovely treat to have the game released in some aspect in the West. What games that never released where you live do you feel bummed you missed out on? Drop me a note in the comments section below.